Simply put, we bring the FUN to any event. 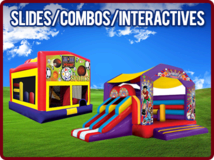 We rent bounce houses, water slides, interactive games and more for your backyard birthdays, company picnics, school functions, church functions, college parties, sporting events, festivals, fundraisers and corporate events. We have all the party essentials you need, including tents, tables, and chairs. 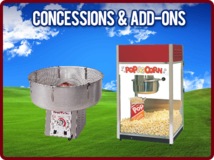 Sweeten up the party and rent one of our cotton candy, snow-cone or popcorn machines! Big or small, your party or event is our priority - we just want you to have FUN! Our rentals are delivered early, clean, insured and inspected. We handle the setup and have someone on call during your entire event. 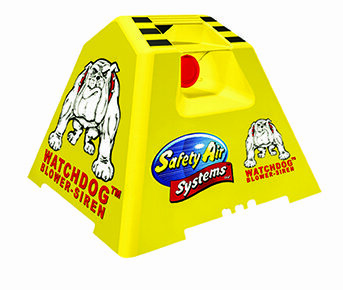 We use the Watchdog Blower Siren with all of our inflatable rentals. This system ensures the safety of all individuals while they're having a blast. It helps to prevent: extension cords coming undone, circuit breakers popping, accidental shut off of blowers, and even plugs falling out of the socket, and many more! In the event one of these happen, a 120 decibel alarm will sound to alert you so that you can safely remove occupants from the inflatables. All of our inflatable rentals are thorough inspected and cleaned after each use. We pride ourselves on the high level quality of fun we provide in both our products and the experience you receive when using our company.